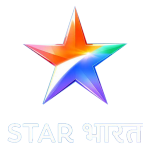 Star Bharat TV is one of India''s most watched Hindi-language channels. Now you can watch Star Bharat TV Live with YuppTV - all you need is an internet-enabled device like a smartphone, mobile tablet, games console, or desktop computer, and you''re good to go. You will be able to watch Indian TV with crystal-clear picture and audio from your device 24 hours a day, 7 days a week.